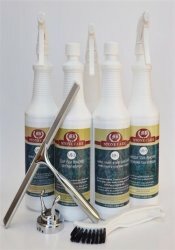 Cleaning your Kitchen Granite Counter Top just got easier! Accidental spills are bound to happen... stone wipes give you just what you need to handle them. These work great on walls, vanities, and fireplaces too! Just pull out a handy wipe and swipe. 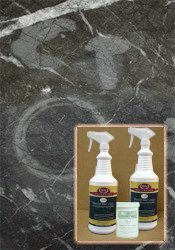 Moistened with a powerful ammonia free formula, this cleaner easily and safely removes fingerprints, food residue, and grease from all Natural Stone surfaces. These wipes also remove dust, dirt, oil, and smoke and leave behind a dazzling shine! 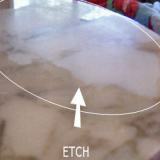 NO streaking or sticky film on your kitchen countertops!!! 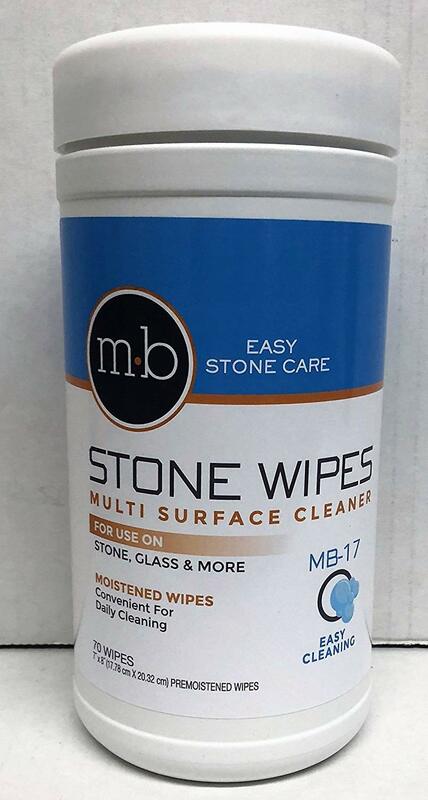 Stone wipes are the easiest and quickest way to clean ALL your Natural Stone and keep it looking brand new. 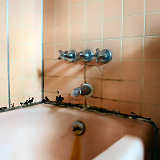 Quick & easy to use for spot cleaning AND great for the light daily cleaning of your shower walls. Simply wipe the surface clean. Discard after use. Stone wipes are the very best product line available to the end user of Stone for quickly, safely and easily wiping up spills. Your products worked great and I will be buying all my cleaning needs from you.